AGS Movers Egypt had its FAIM accreditation renewed on 21 March, amidst an uncertain political climate in the country. The FAIM audit was successful as no factual findings were found. AGS Movers Egypt had its FAIM accreditation renewed on 21 March, amidst an uncertain political climate in the country. The FAIM audit was successful as no factual findings were found. This achievement is due to the efforts of the Branch Manager, Laurent Morel, the Export Manager, Shereen Kamal and the Deputy Manager, Manar Mounir. 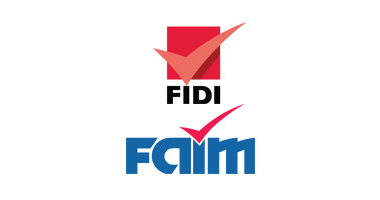 FIDI’s highly acclaimed FAIM accreditation is widely recognised as the hallmark of quality for the international removals industry. It is also known as the most stringent standard against which a company in the industry can be assessed. The Group endeavours to increase the number of FAIM accredited branches in its network in the near future; to date, 28 branches hold this world-class accreditation. Congratulations to the team at AGS Movers Egypt for rising above their circumstances and excelling.